Successfully Added HK Warehouse UMi Diamond X Smartphone - Quad-Core CPU, 2GB RAM, 5-Inch Display, Android 6.0, Dual-IMEI, 4G, OTG (Black) to your Shopping Cart. The UMi Diamond X is one of the latest Android phones and comes packed with all the features needed to provide you with a smooth and powerful user experience. Featuring an ultra-thin and lightweight design, this Android phone truly is a feast o the eye. Its metal frame and sleek body give a premium feel to the phone, fit for any flagship device out there. Added to that comes the phone’s stunning 5-Inch IPS display that portraits vivid colors and an ultra-wide viewing angle, letting you enjoy all your favorite media in breathtaking quality. Whether you play a game, watch a movie, or simply browse the web – with this Android phone at hand you’ll be able to enjoy all your phone has to offer in mesmerizing quality. Running on an Android 6.0 operating system, this Chinese smartphone brings along all the trusted features Android users are familiar with. Head out to the play store and choose from the millions of free to download Apps, games, movies, and more. Thanks to the phone’s Quad-Core CPU that has been clocked at 1.3Gz you’ll be able to enjoy the most demanding mobile entertainment without dropping a frame. The phone’s 2GB of RAM additionally provides you with all the power needed to engage in excessive multitasking sessions. No matter what you throw at the UMi Diamond X, nothing will slow this beauty down. Carry along your favorite media wherever you go and never be bored again. By supporting 128GB of external memory, this Android smartphone offers oceans of space for you to store all your files and media alike. From now on you’ll be able to carry along hours worth of mobile fun and entertainment within your pocket, ensuring that you’ll never have to be bored again. With its epic 2650mAh battery, this Chinese smartphone provides you with enough juice to get through the most demanding of days without needing to worry about battery life. By supporting OTG, this Android phone can additionally be used as a power bank, allowing you to charge other electronic devices in case of an emergency and ensuring that you’ll never run out of juice again. Holding 2 SIM card slots and supporting Dual-IMEI numbers, this 5-Inch smartphone allows you to be reachable on two phone numbers while using just one device, providing you with the perfect cell phone on which to separate your work and private life. Added to that, this Dual-SIM smartphone lets you be connected to two 4G network providers simultaneously, immensely enhancing your overall connectivity anywhere on the globe. From now on you’ll be able to enjoy the fastest date speeds out there are browse the web in lighting speeds no matter where you are. With the UMi diamond X, you can be assured that you’ll always stay connected to your friends and family back home. 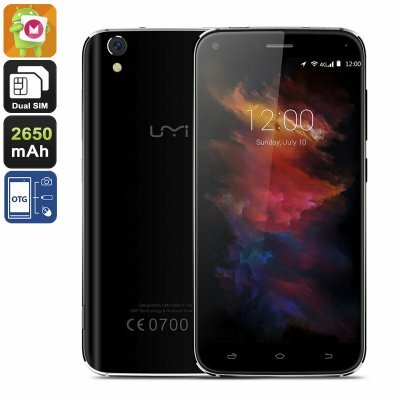 The UMi Diamond X comes with a 12 months warranty, brought to you by the leader in Chinese smartphones as well as wholesale electronic gadgets..